உலகமே ஆச்சர்யத்துடன் பார்க்கும் இந்தியரின் சாதனை.. Researchers at MIT, led by Pranav Mistry, have developed a new ‘mouseless’ experience that provides computer users with the familiar interaction of a physical computer mouse without actually needing one. Mouseless lets a user click and scroll a cursor on the screen using only their cupped palm moving around a table as if they are holding a mouse. 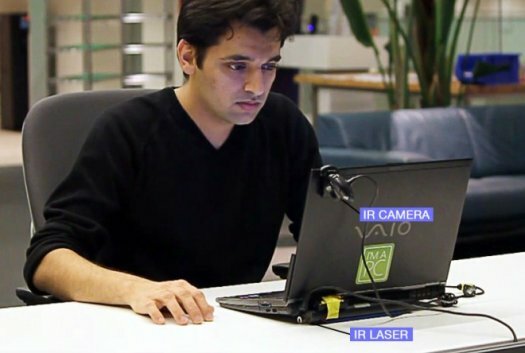 It employs an embedded infrared laser and camera on the computer to track finger and palm movements and interprets them into computer commands. சிக்ஸ்த் சென்ஸ் - பிரணவ் மிஸ்ட்ரி குறித்தான நண்பர் கக்கு மாணிக்கத்தின் பதிவு - அவசியம் பாருங்கள்! ஆச்சர்ய படுவீர்கள்..
Dear Surya, I too would like to give a link of this posting of your blog in my latest posting which is co related as well. எங்கேயோ போய்க்கிட்டு இருக்கோம்.. செய்திக்கு நன்றி ஐயா..
இந்தக் கண்டுபிடிப்பினால் என்ன உபயோகம்? விவரம் வெளியிடுங்களேன்?